In what has been a slow news month so far, the Switchfoot world is suddenly teeming with information! (Sorry, can't you tell I've got writer's block right now?) 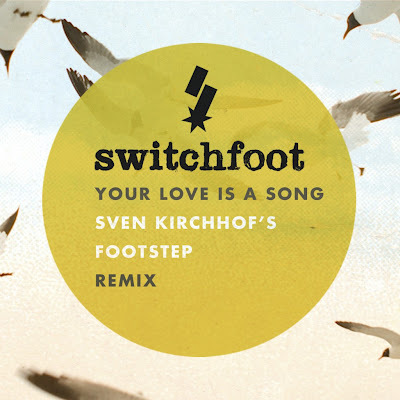 Anyways, House Essentials reports that there is another Switchfoot remix on the horizon! This time, it'll be "Your Love Is a Song," remixed by Sven Kirchhof. In new single news, "Bullet Soul" won San Diego Sophie 103.7's challenge last night, knocking off Adele quite easily thanks to your votes. Let's keep this going! They face off against Tamar today; let's repeat the victory.